Rappers may not be able to fly or fight pirates like Peter Pan, but many of them do seem to live in a perpetual adolescence. Which isn’t to say that’s a bad thing; on the latest single off the five-piece band’s latest compilation album, Eliquate MC Elliot Wright wears his refusal to grow up as a badge of honor, rather than a mark of of shame. A Booth-exclusive world premiere, this joint finds the Santa Cruz rhymesayer and crew celebrating the perks of arrested development in brash, defiant verses. Snack One mans the boards, with help from co-producers Chance Random and Cosmo Stephens, complementing the frontman’s feverish flows with driving percussion and sporadic brass notes. In Michael Daniels‘s official visuals, Wright dons a tricorn hat and military uniform to put on a one-man Revolutionary War re-enactment. 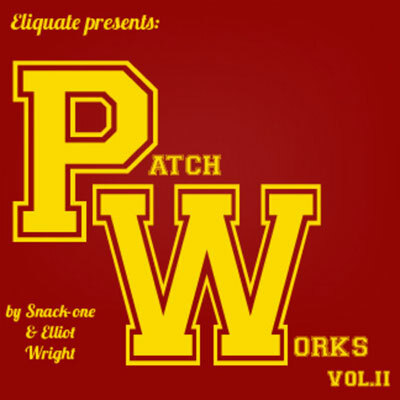 For more old and new material, check out their Patchworks 2 anthology. Eliquate, where have you been all of our lives? New Country may be the quartet’s first feature at DJBooth, but it certainly won’t be their last. Their unique, refreshing style is exactly what we look for when we select a record or visual for feature on our homepage. Hailing from Santa Cruz, CA, the alt/hip-hop quartet delivers an interesting (to say the least) set of visuals (filmed in their hometown) that are just as engaging as their style. As two old men chase a little white ball around Santa Cruz, group member Elliot Wright’s vocal performance reaches out and grabs the listener’s ears. His avalanching, sung-rapped style stands out, but don’t dismiss the lively, intoxicating instrumentals on display behind him (produced in-house, with help from Isha Erskine). 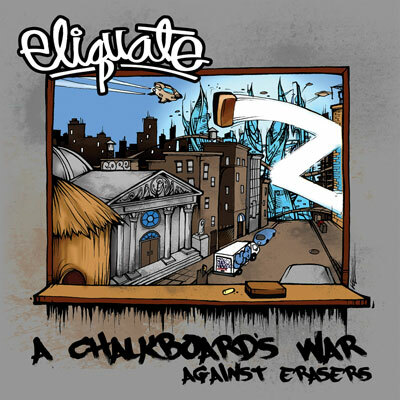 For more from the ever-eclectic Elquiate, be sure to check out their A Chalkboard’s War Against Erasers project, which was released last fall.